It seems not too long ago that colon and rectal cancer is a “rare” disease in rural Africa; however, over the last 30 years in West Africa, published evidence has shown decade by decade increases in the incidence of colorectal cancer (CRC). Therefore, CRC should now be accepted as a recognized disease in native Africans; nevertheless, we must acknowledge that the incidence is a fraction of what obtains in the developed countries of Europe and America. This presentation will attempt to examine the emergence of CRC within the West African axis over the last four decades. Background: Sinonasal tumor is an uncommon tumor in Nigeria, but the burden of the disease in terms of morbidity and mortality is on the increase. The aim of this study is to evaluate the pattern of presentation and outcome of sinonasal tumor in our center. Methodology: This was a retrospective review of all the patients with sinonasal cancer seen in Ear, Nose, and Throat Department of the hospital between January 2008 and December 2013. The patients' biodata, clinical presentation, stage of the disease at presentation, identifiable risk factors, histopathological findings, and outcome were presented. Results: A total of 22 patients were diagnosed with sinonasal cancer out of 71 patients (31%) with head/neck cancers during the period of study. There were 12 males (54.5%) and 10 females (45.5%) with a mean age of 51 ± 2.1 years. 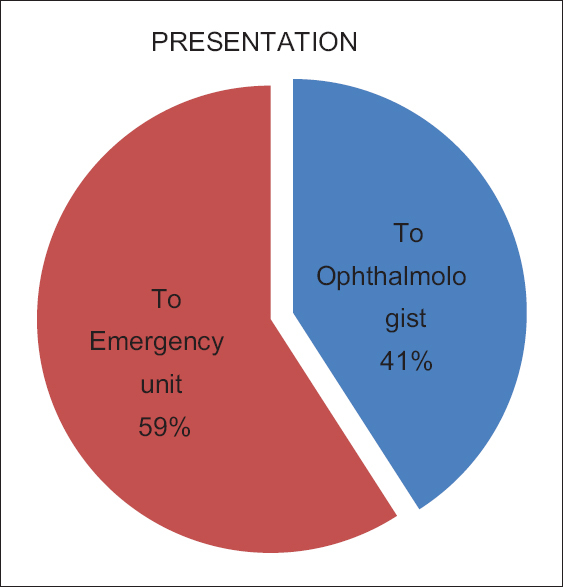 Epistaxis, nasal blockage, and discharge were seen in all patients though 41% of patients presented first to the ophthalmologist due to proptosis. Identifiable risk factors were exposure to wood dust (29%) and petrochemical products in (11%). Most patients presented first at advanced stages of the disease (82%). Histologically, well-differentiated squamous cell carcinoma was the most common (54.6%) followed by nonintestinal well-differentiated adenocarcinoma in 18.2% and plasmacytoma (9.1%). Chemoradiation was the mainstay of management in (38%) though 13.6% had total maxillectomy with postsurgical chemoradiation and 50.4% defaulted due to cost of management. Conclusion: Health education on early presentation and efforts at early detection of the disease are needed to achieve cure. Exposure to the identifiable risk factors should be reduced by protective measures. Easy access to radiotherapy at affordable price will surely improve the outcome of this disease. Background: Although erectile dysfunction (ED) is common, little is known about the impact of ED on the quality of life (QoL) among African men. Materials and Methods: We used the International Index of Erectile Function (IIEF) to evaluate ED and the WONCA charts to assess QoL among employees of a university. Results: A total of 508 men with a mean age of 43 ± 10 years were studied. IIEF5 scores of <22 were present in 406 participants (77.9%). Mild ED, mild-to-moderate ED, moderate ED, and severe ED were present in 34.6%, 26.6%, 10.4%, and 5.7%, respectively. Systolic and diastolic blood pressure were significantly lower in those with ED. Marital status, alcohol, cigarette, physical inactivity, obesity, hypertension, diabetes mellitus, and antihypertensive drug use were not associated with ED. ED was associated with poor QoL in the domains of social activities (odds ratio [OR] = 4.35; 95% confidence interval [CI]: 1.01–18.7), and overall health (OR = 2.27; 95% CI: 1.07–4.82). However, there was no association of ED with poor QoL in the domains of physical fitness (OR = 1.46; 95% CI: 0.82–2.59), feelings (OR = 1.43; 95% CI: 0.75–2.72), daily activities (OR = 4.72; 95% CI: 0.61–36.4), and change in health (OR = 1.75; 95% CI: 0.58–5.26). Conclusion: ED negatively impacts QoL in men. Introduction: Thyroid disorders account for a large proportion of pediatric endocrine disorders. Untreated hypothyroidism in childhood has permanent adverse effects on physical, intellectual, and neurological development. However, few studies have reported the pattern of pediatric thyroid disorders in Nigeria. Objectives: The objective of this study was to document the pattern of thyroid disorders in children and adolescents seen at the Lagos University Teaching Hospital (LUTH) over a 10-year period. Participants and Methods: This is a retrospective descriptive study involving children with thyroid disorders seen from January 1, 2006 to December 31, 2015. Results: Seventy-one patients with thyroid disorders (0.13%) were seen out of 52,800 new cases (incidence of 1/1000 new cases) comprising 13.4% of 546 pediatric endocrine cases with a male:female ratio of 1:1.2. Median (range) age at presentation was 1.6 (0.001–14) years. Congenital hypothyroidism (CH) constituted a major proportion of cases (46.7%), with a median (range) age at presentation of 9 (1.5–24) months. Down syndrome constituted 45% of patients with CH with associated congenital heart defects in eight (53%) patients. Acquired hypothyroidism was seen in ten patients (five goitrous and five nongoitrous). Six patients had hypothyroidism associated with multiple anterior pituitary hormone deficiency. Nine patients (all females) had hyperthyroidism with confirmed Graves' disease in 5 (55.6%), with mean age at presentation being 9.4 ± 2.09 years. Other conditions were euthyroid sick syndrome (2.8%), euthyroid goiter (1.4%), and acute thyroiditis (1.4%). Eight infants of mothers on treatment for hyperthyroidism ( first seen between the 7th h of life to 2 months of age) had transient hypothyroidism while one 8-day-old had transient hyperthyroidism. Conclusion: CH was the most common disorder encountered with late age at presentation. Routine newborn screening and maintaining a high index of suspicion are advocated. Objectives: The Nigerian hypertension guideline (2005) was based on 1999 ISH/WHO and the 2003 Sub-Saharan Africa hypertension guidelines. 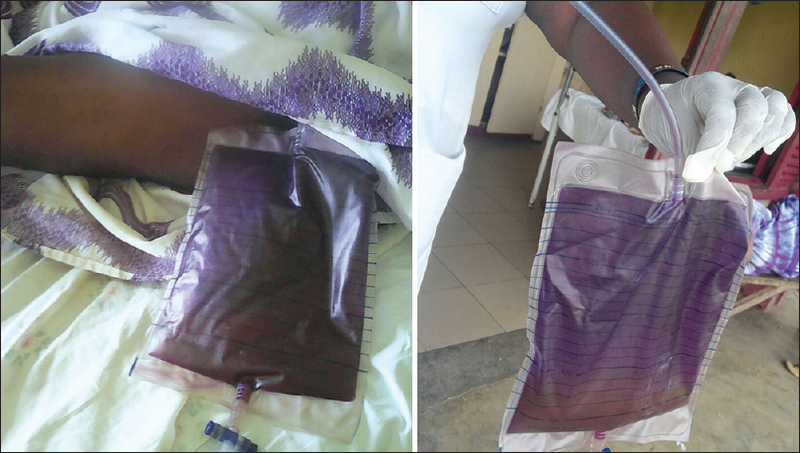 The changes in the prescribing pattern of physicians before and following the introduction of these guidelines as well as physicians' awareness of the guidelines in Southern Nigeria are unknown. Subjects and Methods: A retrospective study of antihypertensive prescriptions and a cross-sectional descriptive study of the physicians' awareness of the guidelines. 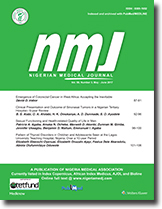 The study was carried out at a tertiary health facility in Southern Nigeria and reviewed the case records (1999–2008) of 3379 hypertensive patients who had attended the medical outpatient clinic; it also assessed the awareness of 48 postregistration doctors working in the same hospital using a self-administered questionnaire. Results: Calcium channel blockers were the most prescribed class over the entire period (44.7%–69.2%) while angiotensin-converting enzyme inhibitors prescriptions increased by 325% (11.8%–51.5%). 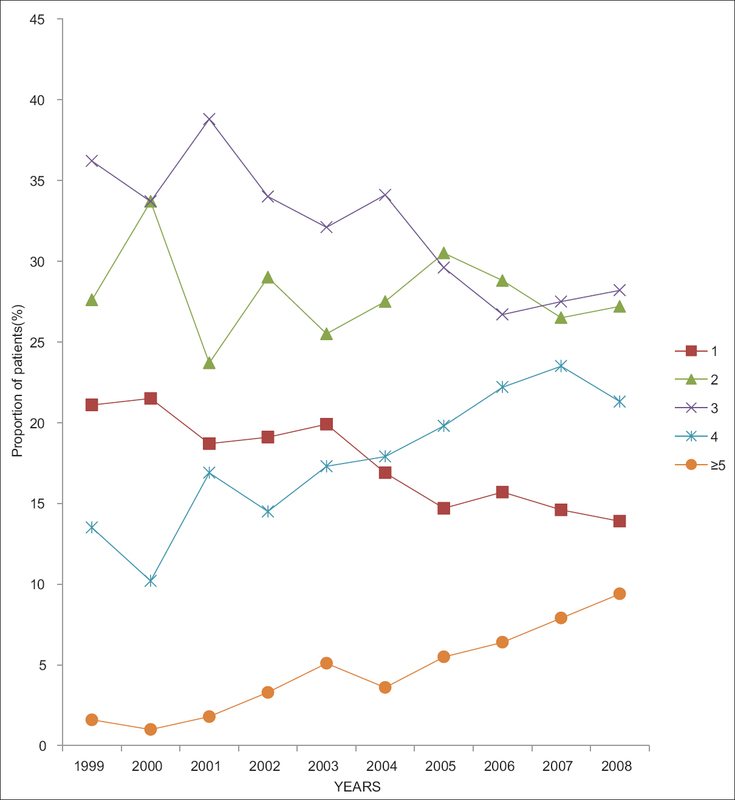 Annual prescriptions of diuretics increased steadily from 38% in 1999 to a peak of 58% in 2005. A total of 37/48 doctors responded, and a high proportion (32/37; 86.5%) were aware of the national guidelines, but only 13/37 (35.1%) were satisfied with the recommendations. Diuretics were stated as the most preferred class of antihypertensive medicines by 26/37 (70.3%) of respondents. Conclusions: The findings suggest disconnect in the prescribers' knowledge of recommendations in the guidelines, their stated preferences for medicines, and the observed findings in the case records. This may be due in part to the observed dissatisfaction of doctors with the guidelines. Background/Aim: Type 2 diabetes mellitus (T2DM) has been implicated as a risk factor for nephrolithiasis. The aim of this study was to determine the prevalence and types of crystalluria among individuals with T2DM. It further sought to identify associated risks, which could influence crystalluria. Methods: A case–control study with random sampling of 165 diabetes patients (cases) and 40 healthy non-diabetics (controls) was conducted from December 2012 to May 2013 at the Agona Swedru Municipal Hospital, Ghana. 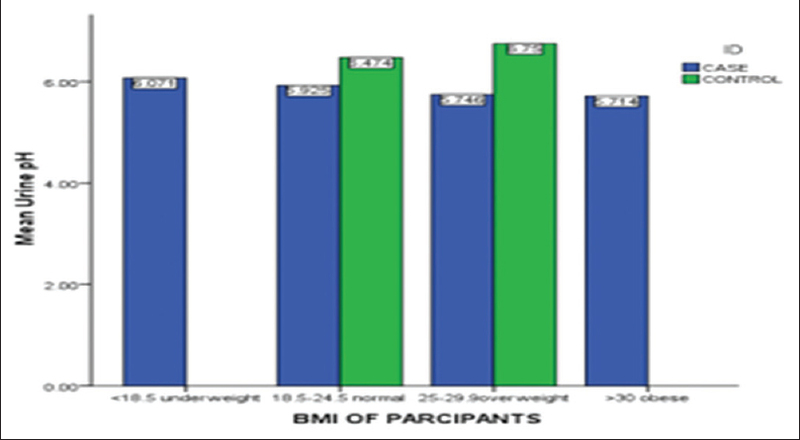 Sociodemographic and anthropometric data were obtained from the participants. Blood and urine samples were collected for the estimation of blood glucose (fasting) and urinalysis for the presence of crystals, respectively (light microscopy). Results: Overall frequency of crystalluria was 18.0%. The prevalence of urine crystals in diabetics (17.5%) was more than that in non-diabetics (5.0%). Types of crystals found in the T2DM patients by prevalence were calcium oxalate (12.7%), uric acid (3.6%), and tyrosine (1.2%). Mean age, body mass index, systolic blood pressure, and fasting blood glucose (FBG) were higher among case participants than in controls (P < 0.001; P < 0.001; P = 0.018; P < 0.001). Case participants had a lower urine pH than the controls (P < 0.001). Crystalluria was positively correlated with FBG (P = 0.002) and negatively with urine pH (P = 0.108). On multivariate analysis, FBG was independently associated with crystalluria (P = 0.002), after adjustment for other factors. Conclusion: Crystalluria is common in diabetes patients. Acidic urine pH is mostly seen in T2DM and may be a predisposing factor to crystalluria. Good glycemic control may be a helpful in reducing the occurrence of crystalluria among T2DM.